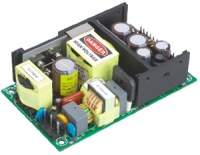 The PSSBU150 series of AC/DC switching mode power supplies provides 150 Watts of continuous output power in a compact, open frame constructed design. This series has single output supplies with a universal operating input range of 90~264VAC. These units are ideally suited for use in disc drive systems, microprocessor based systems, portable equipment, and many other applications. All models meet FCC Part-15 class B and CISPR-22 class B emission limits. 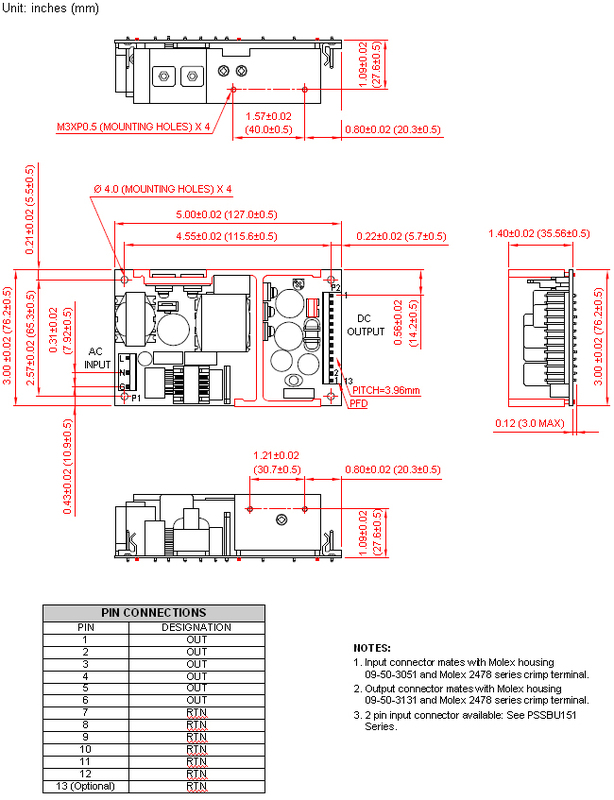 These supplies also comply with UL60950-1: 2nd Edition, CSA C22.2 No.60950-1-07, IEC 60950-1:2005/A2:2013, EN 60905-1:2006/A2:2013 safety approvals. All units are 100% burn-in tested. Notes: 1. Output can provide up to peak load when power supply starts up. Staying in more than rated load continually is prohibited. 2. At factory, in 60% rated load, each output is checked to be within voltage accuracy. 5. Ripple & Noise is measured by using 20MHz bandwidth limited oscilloscope and terminated each output with a 0.47uF capacitor at rated load and nominal line.